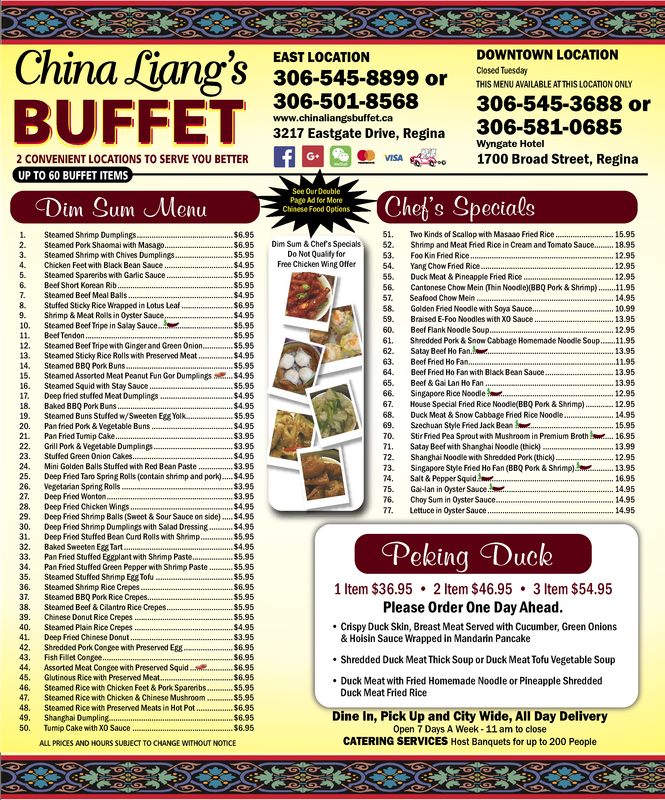 Explore China Liang’s Buffet’s authentic Chinese, Szechwan, and Thai flavours by looking at our extensive menu. Check out our special family dinners and combination dinners or see what our dim sum menu is all about. 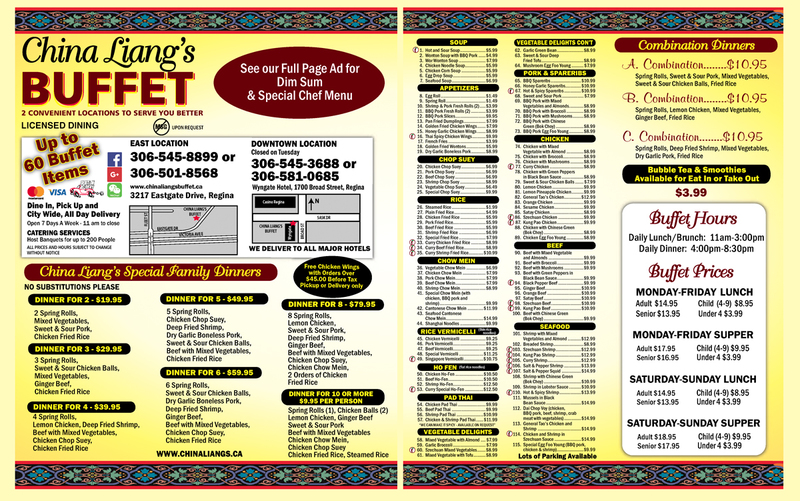 Everything on our menu is available for dine-in, pick up, and delivery all day long. Call or stop in and place your order today!